Ten podcast episodes condensed and highlighted in 16 minutes. If you’ve ever wondered what this podcast is like, how hearing shared stories can make us feel less alone, and what we can learn from each other, this is a great opportunity. Nearly half of the people diagnosed with depression are also diagnosed with anxiety disorder. This week’s guest Jordan, talks about his anxiety and his struggle to be properly diagnosed. He also shares about his post-surgical depression, which is more common than many realize. It’s an episode filled with great perspective, advice, and even some laughs. Today we launch a new *bonus* feature, looking into some self-care techniques that might be good additions to your self-care tool kits. Guest Brad Yates describes Tapping, or EFT as “a remarkable healing modality based on the same principles that have been used for thousands of years in acupuncture—but without the needles.” Again, we’re not health-care professionals. We’re sharing some things podcast listener’s have told us, or that we’ve encountered on our own, as possible aids for our depression-management tool kits. Tara, who says she’s never hidden her depression, but has never been able to clearly explain the “otherness” of living with the illness, sits down with Giving Voice to Depression to share about shower-crying, infomercials and the need for connection and non-judgement while “in it.” Please listen and share. In last week’s episode, “When Art Imitates Depressed Life,” artist Jeff Beier talked about a series of paintings he created to make an invisible illness visible in a graphic and powerful way. (https://soundcloud.com/givingvoicetodepression/91-when-art-imitates-depressed-life) In his second episode he shares the story behind the paintings, and some of the less-healthy/creative ways he dealt with his mental-health challenges in the past, and the better methods he now knows and uses. When an artist’s paintings changed from flowers, trees and butterflies to powerful visceral displays of depression’s darkness and pain… Jeff Beier made the decision that series, named “Incidamus,” the Latin word for depression, had to be shown and felt and discussed. The public display of his private pain is creating “visceral honesty between strangers.” If you’ve ever wondered if being honest about your depression could help you and/or another person, Jeff will remove any doubt. A triple-board-certified medical doctor discusses the “catastrophic increase” in depression and other mood disorders, and connects that to leaky gut syndrome. 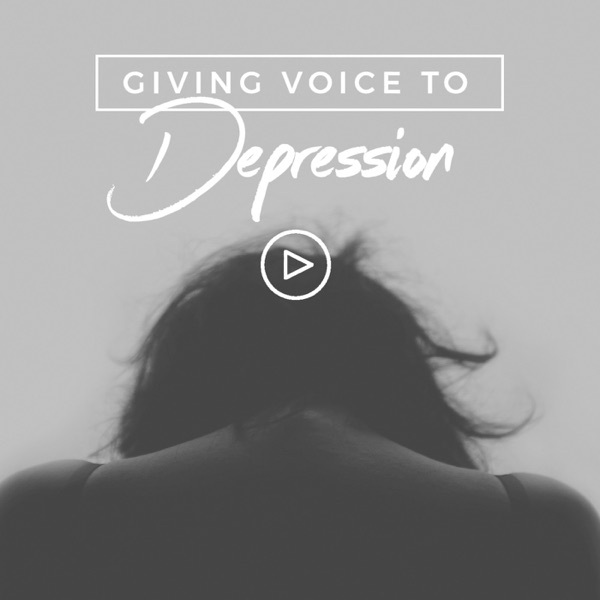 Dr. Zach Bush talks with podcast co-host Bridget about how understanding the role of environmental factors in our depression empowers us to change our environment to change our depression. A son learns of his father’s depression and suicidal thoughts only after he is hospitalized for them. Since then, the two have realized the dangers of hiding an illness, and the many benefits of sharing our experiences. This is a beautiful story of two men who prove that stigma can be dangerous, and truth can heal for generations to come. intramate, Proudly powered by WordPress.